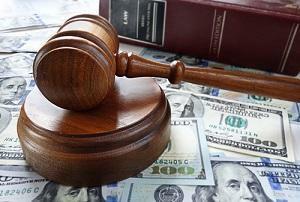 Financial and property considerations can be a very complicated part of the divorce process. It is often difficult to determine who should get what and how much is fair based on the specific circumstances of the case. For many couples, the concepts of dividing marital assets and spousal maintenance might seem like two, very separate ideas. In reality, they are often very closely related, and in many cases, decisions regarding one directly affects the other. Spousal maintenance, or alimony as it is sometimes called, is intended to help a financially-disadvantaged spouse ease some of the economic impact of a divorce and a post-divorce life. To determine if maintenance is needed, in the absence of an agreement between the spouses, the court must take into account a number of factors regarding the marriage and divorce. These include each spouse’s income and needs, as well as their contributions to the marriage and toward the earning capacity of the other. The court will also consider the length of the marriage and the standard of living that was established. 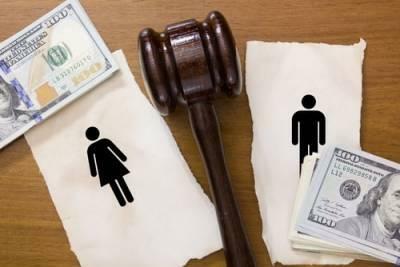 Similarly, when the division of marital property is left to the court, the circumstances of the marriage and divorce must also be weighed carefully. The court must take into account—again—the income and needs of each spouse, as well as any claims of dissipation, which spouse wishes to remain in the marital home, and any provisions regarding the couple’s children. When married people create an estate plan, both parties are generally involved. What can you do, though, if you want to get serious about planning your estate and your spouse is still reluctant to get on board? Nagging certainly will not do the trick, nor will threatening or begging. Still, there are some ways that you may be able to ensure your heirs do not get shortchanged. It may be helpful to learn a few strategies for dealing with a spouse who seems hesitant to get on board. While it is best to have your spouse on your side before you create an estate plan, you may not ever be able to persuade them. This does not mean you cannot create an estate plan. In fact, there are strategies that you can use on your own to ensure your assets go to the right people and charities. Assets that are yours—solely yours—can be drafted into an estate plan, regardless of whether or not your spouse participates. Further, you can ensure you have named your power or attorney for health or financial decisions just in case you ever become incapacitated. You should also ensure you have a complete log of any joint accounts, should you outlive your spouse and end up becoming the executor of their estate. This can help you avoid any last-minute confusion and may even expedite certain issues, even if they failed to create their own estate plan. Further, if you and your spouse should pass away together, your other heirs will still have the information they need to manage your joint assets. The Race to the Courthouse: Does Filing First Matter in Divorce? Once you have reached the decision to end your marriage, the real work must begin. You and your spouse will need to decide how to divide your property, how to make arrangements for your children, and how to adjust to your new post-divorce lives. Before you can get there, however, one of you will need to start the legal process of divorce by filing a petition for the dissolution of marriage at the county courthouse. Many clients approach us with questions about this, often wondering how important it is to be the one who file for divorce and whether it makes any difference at all. The divorce process in Illinois is governed by the Illinois Marriage and Dissolution of Marriage Act (IMDMA), which is a comprehensive collection of statutes that address matters from choosing a venue to how parenting time matters will be decided by the court. A divorce, as a matter of law, is essentially a legal action used to dissolve a marital contract between two parties, and, as such, in every divorce, there is technically a plaintiff and a defendant. 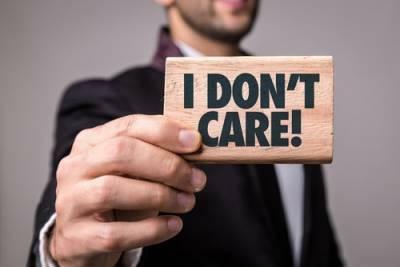 These terms, however, are far less important in a divorce than in other areas of the law, such as personal injury or criminal law, and, in fact, the IMDMA refers to the parties in a divorce as a plaintiff or defendant in just one paragraph. The IMDMA does, however, make more references to a petitioner and a respondent. The petitioner is the spouse who initiates the proceedings by filing the divorce petition, making him or her formally the plaintiff. The non-filing spouse is the respondent and is given the opportunity to file an answer to the petition including motions of his or her own. For the remainder of the proceedings, each party maintains equal status as a party to the case, with the ability to file motions, request considerations, and present evidence. From a legal standpoint, therefore, there is little official advantage to filing for divorce before your spouse does. During probate, the formal vetting process all wills must go through, heirs who believe a will is invalid can challenge that will in court. For example, if a relative worries that his elderly grandmother was coerced into agreeing to her will, he can contest that will. The court will examine the evidence and make a decision to either enforce the will or start from scratch and distribute the deceased person’s property according to state law. Wills can also be contested for dishonest reasons. For example, an heir who is unsatisfied with his or her inheritance may contest the will simply in an attempt to receive a greater inheritance. If you wish to make your will much less susceptible to being contested in court, a no-contest clause may be right for you. What Exactly is a No-Contest Clause? A no-contest clause, often called a terrorem provision, is a set of directions written into a will or trust which addresses potential contests. The Latin phrase “In terrorem” literally translates to “about fear.” It is called this because the provision includes a penalty for anyone who tries and fails to contest the will during probate. 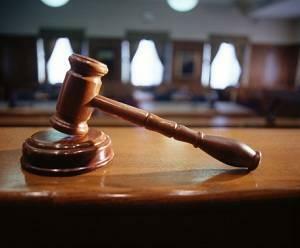 If a disgruntled heir challenges the will without justification, that heir may be penalized. In this way, a no-contest clause can help discourage heirs or beneficiaries from challenging a will or trust. Should I Move Out Before Filing for Divorce? If you and your spouse are having serious problems in your marriage, one of you may decide to find another place to stay while you figure out what to do next. You might, for example, stay with a family member so that you can gather your thoughts about how to proceed. This practice is so commonplace that most couples would not even consider a divorce while still sharing a home. Just because something is a common practice, however, does not mean that it is a legal requirement. In fact, it may come as surprise to learn that Illinois law does not require any period of separation in most divorce cases. Can I Write a Handwritten Will? In the comedy show Parks and Recreation, there is a scene where Ron Swanson is being lectured about how his impressive estate is not covered by a will. He replies that he does have a will and that he wrote it when he was eight years old. To the horror of his financially-savvy colleague, Ron pulls out a small folded note with a few scribbles on it. 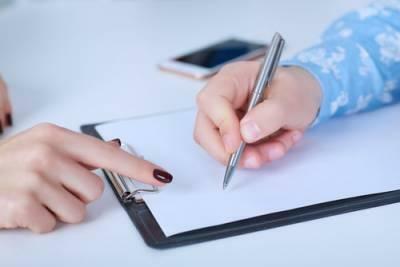 If you have thought about creating your last will and testament, you may have wondered if you can simply write the instructions down in a notebook or on a piece of paper. The answer varies depending on where you live, but it is important to note that Illinois wills must meet certain criteria to be legally binding. The enforceability of a handwritten will depends on state law. Many states do accept handwritten wills that meet other criteria, but each state’s laws vary with regard to witness requirements. 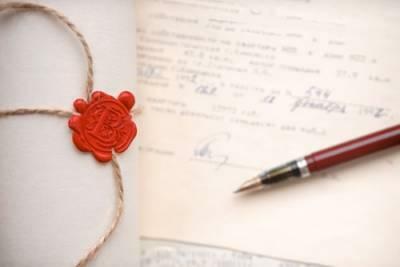 The purpose of having witnesses sign off on people’s wills is to ensure to the court that the will’s creator, called a testator, signed the will of his or her own volition. Testators must have the mental capacity to understand what they are signing and cannot be coerced into signing a will. Having witnesses also helps guarantee that the signature on the will is that of the testator and is not forged. Nevertheless, in some jurisdictions, witnesses are not required to be present for a handwritten will to be legal. This is known as a holographic will. Two witnesses must be present when the will is signed in other jurisdictions. Should You Change Your Name After Getting Divorced? 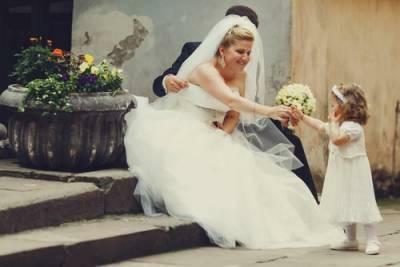 Although it is not required, the majority of women who get married change their last name to match that of their new husband. This can lead to an unexpected challenge if the marriage ends. If you are planning to end your marriage through divorce, you may be wondering what you should do about your last name. Some women choose to keep their married name post-divorce while others go back to their maiden name. Still, others come up with completely unique solutions to the dilemma of what to do with their last name as a newly-single woman. Whatever you decide, make sure to consider both the short-term and long-term effects on your personal and professional career. 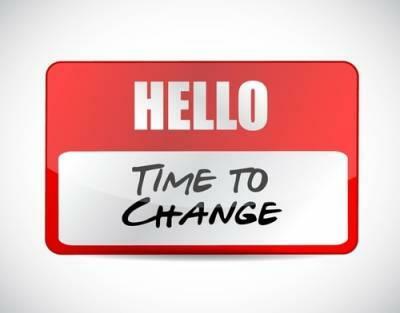 Except in very rare circumstances, the choice of whether a divorcing woman changes her last name from her married name to something else is completely up to that woman. The vast majority of divorce decrees do not include requirements about names. The decision is a deeply personal one and can be influenced by a wide variety of factors. One thing many women consider is what the name symbolizes to them. For some, keeping their ex-husband’s name may bring up too many painful emotions. Other women are able to separate the name itself from the memories of their marriage or for other reasons do not feel negatively towards their married name. If you have started the process of planning for your family’s future through a comprehensive estate plan, you have probably considered where many of your possessions will go. Perhaps your car will be gifted to a grandchild, while your home will be sold and the proceeds split between your children. 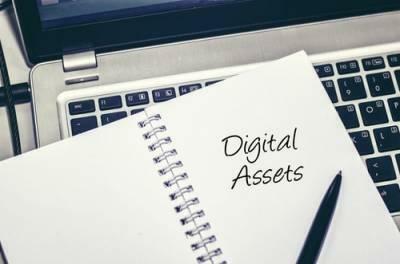 When deciding what will happen to physical property, many otherwise-dutiful estate planners forget about their digital assets. Have you considered what should happen to your personal documents and data stored online after you pass away? What about your social media accounts? The world is becoming more and more digitized with each passing day, and it is important we account for this in estate plans. What Exactly Is Considered a Digital Asset? Should You Ask for Spousal Support in Your Divorce? If you will soon be getting divorced, you may believe that you have the right to receive spousal support—also called maintenance—payments from your soon-to-be-ex-spouse. Spousal support, unlike child support, is not automatically assumed to be necessary in every Illinois divorce. Under Illinois law, the court must take each case individually to determine if a maintenance award is actually needed to promote an equitable outcome. This means that if you think you are entitled to support, you will probably need to ask for it explicitly. Unless you and your spouse included behavior clauses in a prenuptial or postnuptial agreement, the court will not consider the conduct of either party when deciding whether to award maintenance. While your spouse’s behavior may leave you feeling like he or she owes you some type of restitution, the law in Illinois specifically prohibits marital misconduct from being a factor in maintenance proceedings. Spousal support is meant to help you meet your financial needs and obligations, and is not intended to be used as a punitive measure against your spouse. 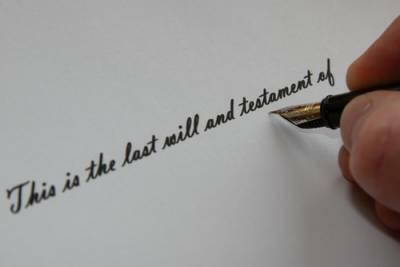 One of the most important steps of creating a last will and testament is choosing the personal representative—or executor—who will oversee and manage your estate after you pass away. This individual will have several important responsibilities, so it is important that you choose someone who is competent and able to handle the job. There is no perfect way to choose the right executor, but there are some guidelines you should keep in mind as you create your estate plan. 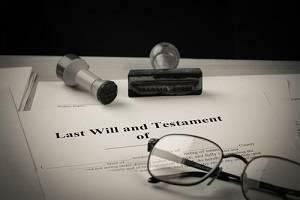 The legal representative named as the executor of a will has several duties. Firstly, he or she must estimate the value of the deceased person’s (testator’s) estate. A list of property and assets including bank accounts, retirement accounts, real estate property, fine art or expensive jewelry, stocks and bonds, and other items must be drafted and assessed during probate. Additionally, the executor must pay the deceased person’s taxes and debt as well as file a personal income tax return on their behalf. He or she will also have to pay estate taxes and distribute the testator’s remaining property to beneficiaries as per the directions stated in the will. If you are considering ending your marriage, you probably have a thousand different concerns. Will I be too lonely living by myself? How will the divorce affect my children? How will I tell my friends and family? Unfortunately, there is no way of getting through a divorce pain-free, but there are some steps you can take to help you cope with the emotional burden of ending a marriage. It is reasonable to assume that if your marriage was unhealthy, the divorce will not be the most cooperative or collaborative process either. 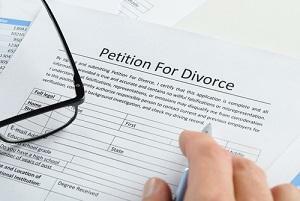 Often, couples getting divorced continue to struggle with the same issues they struggled with when they were married. If your spouse attempts to sabotage efforts to end the divorce efficiently and amicably, do not take it personally. Someone acting out in childish or hurtful ways toward you does not reflect on your character; it reflects on theirs. 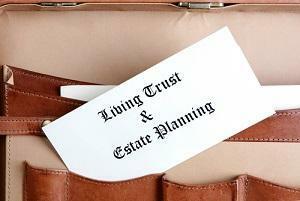 When one thinks of estate planning, the main legal tool that most often comes to mind is the last will and testament. Of course, having a will in place is tremendously important. Not only does a will give you the peace of mind that your possessions and property will end up in the right hands after your death, it also helps your loved ones wrap up your estate much more quickly and efficiently than would otherwise be possible. 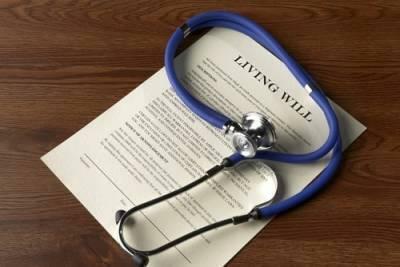 Even though wills are vital, they are not the only estate planning documents we should be concerned about. As you plan for your future, make sure not to overlook these other important legal and financial implements. An advance health care directive is a plan that is made ahead of time in regard to a person’s health care. Illinois law allows citizens to create four different types of advance directives: a medical power of attorney; a living will; mental health treatment preference declaration; and a Do-Not-Resuscitate (DNR)/Practitioner Orders For Life-Sustaining Treatment (POLST). Depending on your circumstances, you may wish to use more than one of these types of documents to plan for your future. If your spouse has a child from a previous relationship, you know how sensitive and complex issues related to parenting can be. While you may not be the child’s biological parent, it is understandable that you would wish to offer a positive, reliable adult influence for the child—not to mention an authority figure with whom the child is comfortable sharing concerns and problems. With time and effort, you are likely to find a sense of family starting to develop. In some situations, the bond becomes so strong that the stepparent is willing to take on the legal responsibilities of parenthood through the adoption process. When you are thinking about a potential stepparent adoption, you must be aware that the decision to adopt affects the child as much or more than it affects you. You might ready, willing, and able to accept the duties of a legal parent, but that is not enough to make the adoption the right choice. If the child has a healthy, productive relationship with a second parent—other than your spouse—there is little reason to try to cut that parent out of the picture, and a stepparent adoption would probably not serve the best interests of the child. If, however, there is effectively no second parent or the other parent has shown to be uninterested in being a parent, your adoption might serve the child well. When you are beginning to prepare an estate plan, it is important to remember that you are not just planning for the time after your death. An estate plan is necessary for more than just the rich—though that designation can be quite misleading. An estate plan is an outline set up by anyone—including those in lower- and middle-class income sectors—that determines what will happen to one’s assets and property. For those who may tend toward the higher end of the socioeconomic spectrum, it may be in your best interest to establish a living trust, which is a tool that can be used to manage your assets while you are still alive. Among other benefits, living trusts can useful in protecting certain assets and maintaining eligibility for government financial aid programs such as Medicare and Medicaid. There are two main types of living trusts: irrevocable and revocable. The vast majority of living trusts are revocable, meaning that they can be amended or revoked at any time by the creator. When you create a living trust, the assets you select are transferred to the trust and ownership is in the trust’s name rather than in the name of an individual. Your designated trustee then administers the trust, meaning that the trustee makes decisions for the leveraging, sale, or gift of any assets in the trust. Most people name themselves the trustee of their own living trusts, meaning that there is essentially no difference in the way that one administers his or her own assets—only that they are now technically owned under the umbrella of the trust. The time after the death of a loved one is almost always difficult, even if the death was preceded by a lengthy illness or years of health problems. When you are dealing with the grief and other emotions associated with loss, it can be especially troubling to learn that your loved one’s will was recently changed to benefit a particular beneficiary in a way that seems suspicious. If you have a reason to believe that the beneficiary—or anyone else—tricked or forced your loved one into amending his or her will, you may have the grounds to contest the will based on undue influence. Every person has the right to decide how his or her assets will be distributed on the person’s death. It is very important, however, for those decisions to be voluntary. A person who has been deceived or coerced into making certain choices about his or her property is not making them voluntarily. He or she is being manipulated. 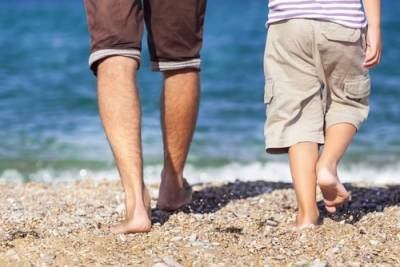 Is It Possible for Me to Have Sole Custody of My Child After a Divorce? If you are a parent who is in the midst of a divorce, you probably have many questions about the future. “Where will I live?” “Will I be able to make enough money?” “What will happen to my kids?” As you probably know, the laws regarding child custody have undergone substantial changes in the last few years. The changes were designed to reduce competitiveness and friction between divorcing or unmarried parents and to encourage cooperative parenting. But what if your former partner is uninterested in taking responsibility for your child? Or, what if it scares you to leave your children with him or her? Fortunately, it is still possible for you to seek an amended version of what used to be called “sole custody” of your child. At the beginning of 2016, sweeping reforms to the Illinois Marriage and Dissolution of Marriage Act (IMDMA) took effect. The updates largely eliminated the term “child custody” and replaced it with the more nebulous phrase “allocation of parental responsibilities.” Under the amended law, parental responsibilities are divided into two primary areas. “Significant decision-making authority” replaced the previous concept of legal custody, and “parenting time” replaced the old idea of physical custody. Sole and joint custody were two different types of legal custody arrangements as they were established to clarify which parent or parents had the responsibility to make important decisions about the child’s life. When you consider what life will be like for your loved ones when you are not around to care for them, you may have serious concerns about family members who rely on you for the most care. You may have a child, a sibling, or even a cousin with a disability or other special needs. These needs may leave the person unable to adequately look after themselves. If you have been caring for a person with special needs, your death could lead to serious challenges for him or her, and your best option may be to create a special needs trust in the name of your loved one. Also known as a supplemental needs trust, a special needs trust is an instrument that places assets under the care of trustee to be utilized to help provide for a person with special needs. 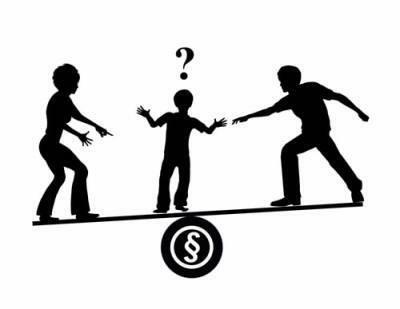 The most unique aspect of a special needs trust is that the funds contained in the trust are not considered to be “available assets” for the disabled individual, which means they cannot impact the person’s eligibility for Medicaid, Supplemental Security Income (SSI) and other income-based government programs.